Audrey Troceen painted "Called Out of Darkness" during the Vintage Women’s Trellis Conference on Saturday, March 16th. 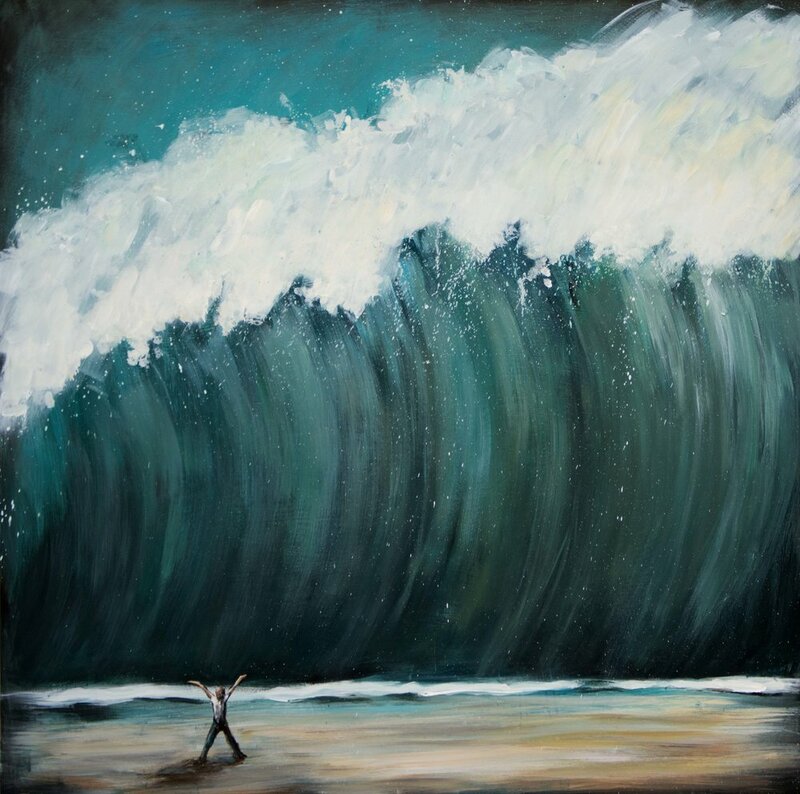 acrylic on wood board | 24" x 30"
Laura Bowman-McNeil painted "The Wave" during worship services on Sunday, October 14th. An original painting is available for purchase through auction. This auction will close at 11:59pm on Sunday, October 28th, and the painting will go to the highest bidder at that time. This painting is valued at $3,000. Minimum bid is $250. All proceeds will go to support our local outreaches (Abney Elementary Food Pantry and Thanksgiving Outreach in partnership with CAYA Ministries). In order to submit a bid, leave your name, email address, and bid in the comments section. Note: You may make an anonymous bid if you prefer. If you do, though, please immediately email April at April@Vintage242.com to identify the bid as yours. If you do not see the comments section, just click on the large "The Wave" title at the top of this post. To purchase a print of the painting, email Laura at Laura@LauraBowman.com.